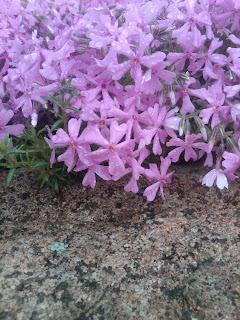 Need some thoughts on how to weave a thread of spring color with some drought tolerant groundcovers? The wordless Wednesday photo collage from this morning’s rainy garden. Take a peek. 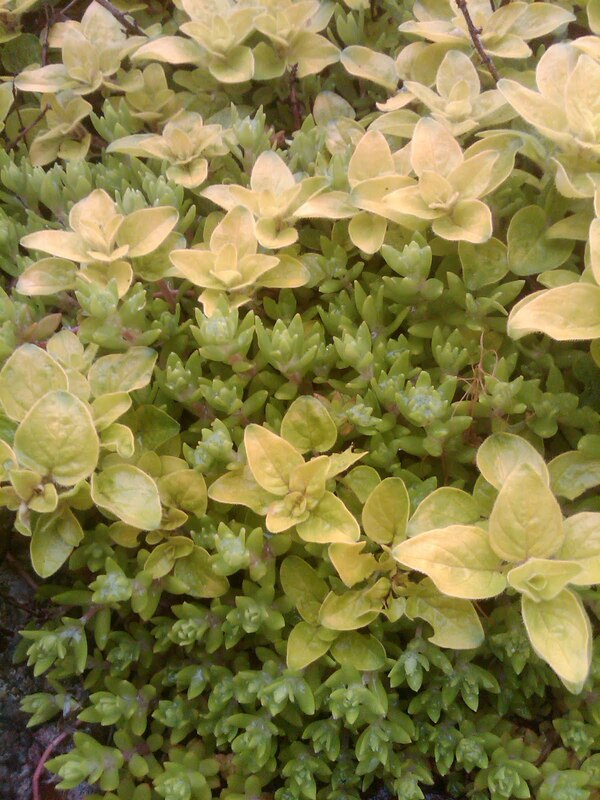 Sedum weaved in with Golden marjoram (Origanum vulgare aureum). Marjoram can be used in your culinary endeavors. 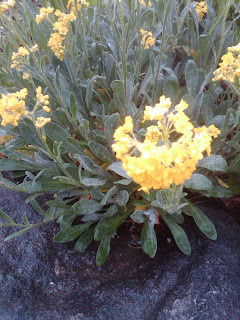 Basket of Gold (Alyssum saxatile) nestled on top of a rock wall. Also good for a rocky embankment. Forget-me-not (Myosotis) spreads easily and offers dainty sky blue flowers in early spring. 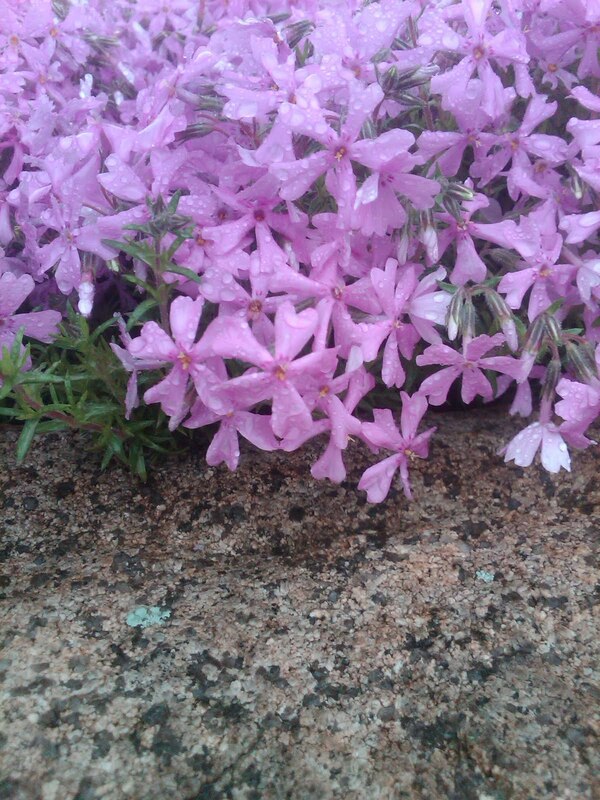 Ground Phlox (Phlox subulata) is from my mother’s garden and a springtime favorite. 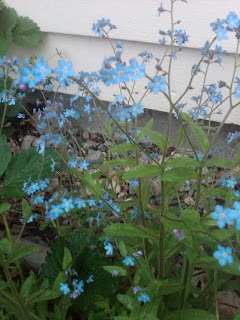 One of the few patches that seems to do well here in my own garden. Time to end the post with a Horace Mann quote, which ties in nicely with our topic. “Habit is a cable; we weave a thread of it each day, and at last we cannot break it.” Spend time in your garden each day. Make it a habit you can't break. You’ll be amazed at what you end up creating. Gardening is one of those good habits! P.S. Happy Birthday, Mary to one of my regular readers and a great sister.